These eyepieces offer an extraordinary combination of elegance and top optical performance to enhance your observations. 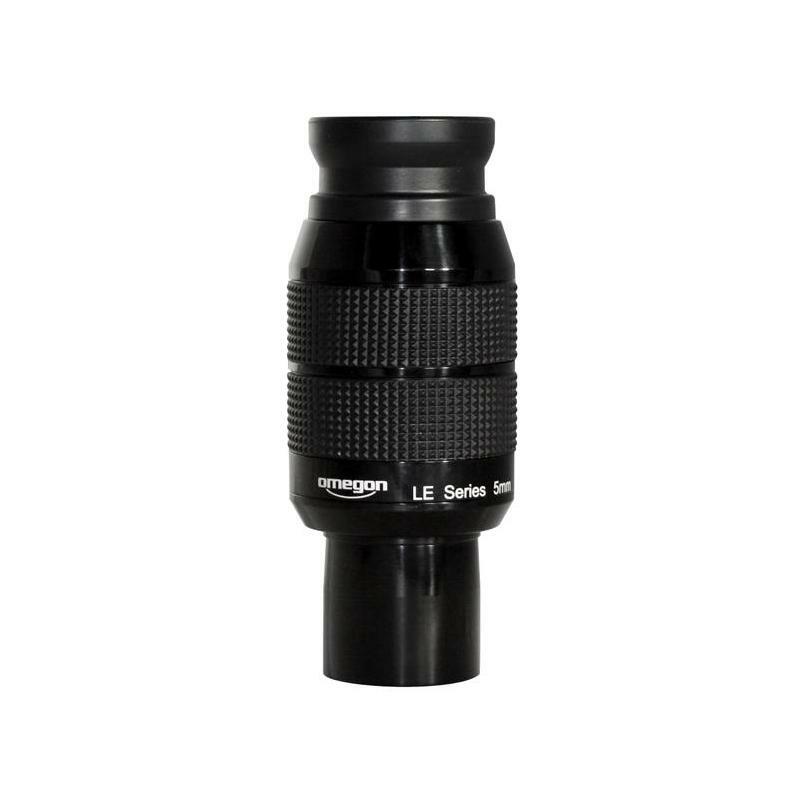 The LE Planetary eyepieces from Omegon have been engineered for extremely high sharpness and contrast at levels not found in this class. 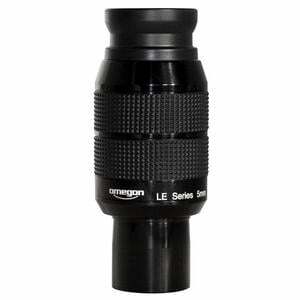 The Omegon LE Planetary eyepieces have an outstanding optical design that caters precisely to the needs of stargazers. 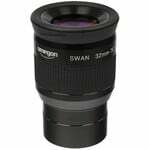 Even with Newton telescopes with a fast lens, the LE Planetary eyepieces offer absolute distortion-free images up to the extremes of the field of view. 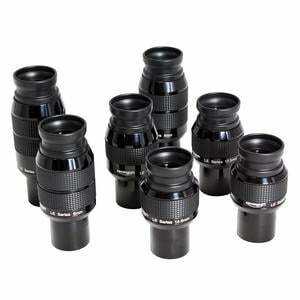 These 1.25" eyepieces are available in focal lengths of 3mm, 5mm, 6mm, 9mm, 12.5mm, 14.5mm and 18mm. Their interior design is comprised of seven lens elements in four groups (18 mm model: five elements in three groups). 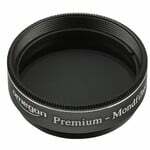 All lens edges are blackened and glass/air surfaces coated with a multi-layer, high-impact anti-reflex coating. One major difference from traditional eyepieces is the long, 20mm interocular distance, which provides a very pleasant viewing experience. Even spectacle wearers can observe the entire field of view. 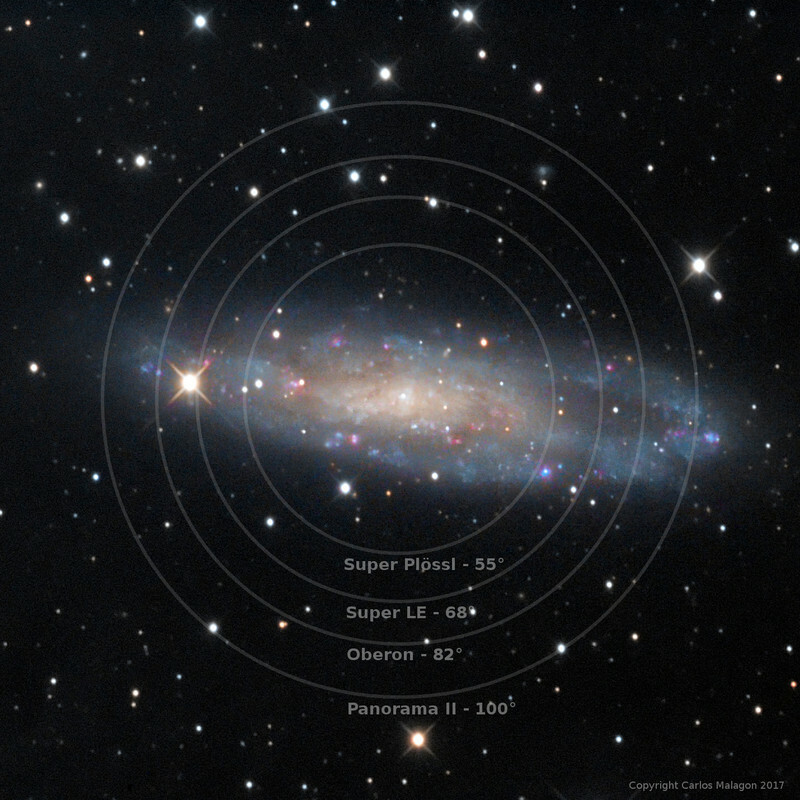 The apparent field of view is 55°. Compared with similar eyepieces, tests produced greater transparency and more brilliant images with a dark sky background and no interfering stray light. The interior aperture system makes a decisive contribution to reducing stray light. 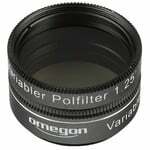 All focal lengths have eyepieces 21 mm across. 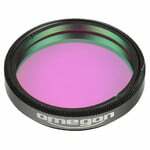 Omegon LE Planetary eyepieces don't just artificially enlarge the field of view on its edges, but display a real field without much distortion to the edge area. 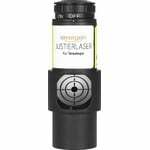 Using the LE Planetary eyepieces, the exact optical axis does not need to be maintained during observation. The observation is not impaired through vibrations when you look into the device, since there is no vignetting – also known as the kidney bean effect. 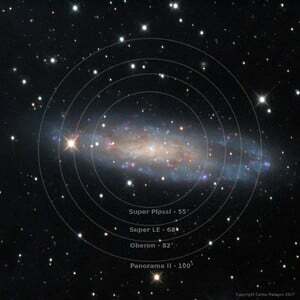 With the high contrast image they provide, LE Planetary eyepieces are excellent for observing planets. These eyepieces are also superb for deep sky observing, as good contrast and high light transmission is also important here.